The first integrated datalogger with WLAN. The Fronius Datamanager is a plug-in card and represents the next generation of dataloggers. 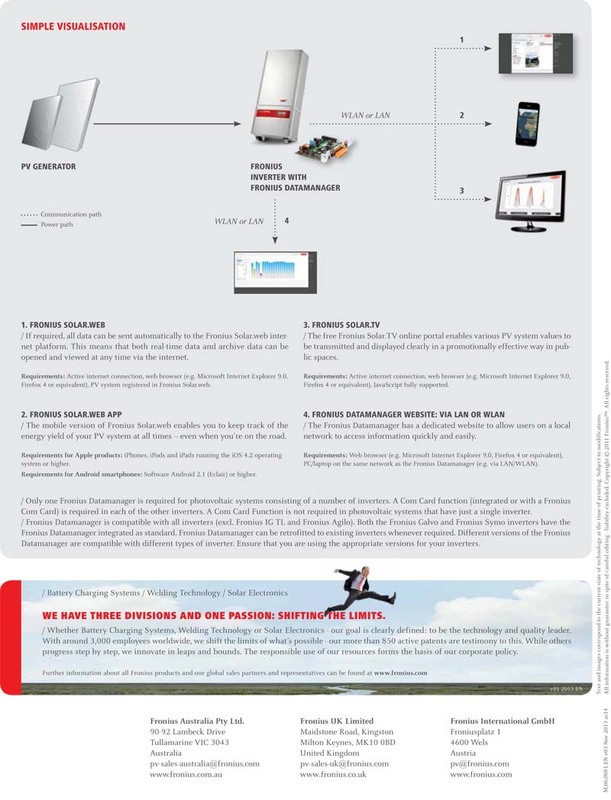 Whenever it is connected to the internet via a LAN or WLAN, the Fronius Datamanager sends the PV system values directly to the Fronius Solar.web online portal. This provides you with an overview of how the system is operating at all times. The Fronius Datamanager enables inverters to be connected directly to the internet via a WLAN for the first time. Furthermore, optimum system monitoring and configuration of the Datamanager can be carried out via the dedicated website on the Fronius Datamanager’s integrated web server. A ripple control receiver can also be connected via the digital inputs and outputs so that the power and reactive power can be controlled remotely in accordance with power supply company requirements. Only one inverter in 100 needs to be fitted with the Fronius Datamanager. The other inverters need a Com Card function (integrated or with a Fronius Com Card). 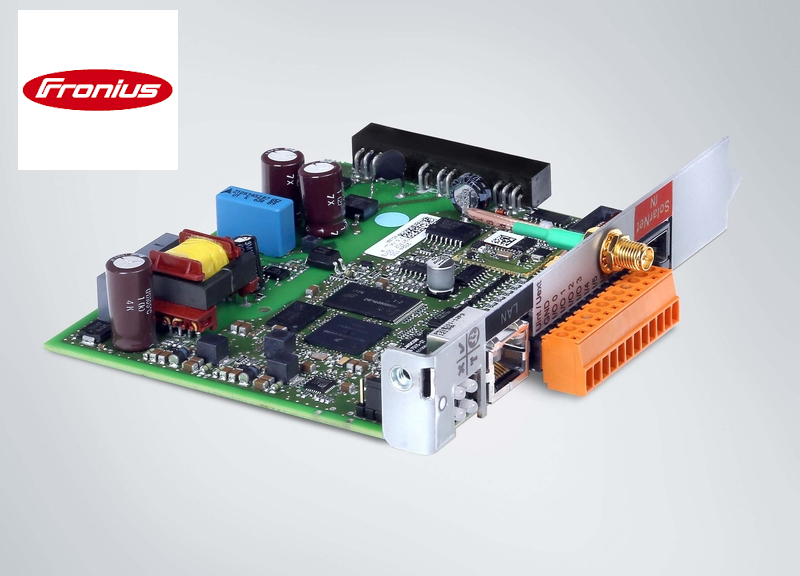 The Datamanager is compatible with all Fronius inverters (excl. Fronius IG TL and Fronius Agilo). The Fronius Datamanager is integrated into the Fronius Galvo and Fronius Symo inverters as standard. The Fronius Datamanager can be retrofitted to existing inverters whenever required.